Royal Naval Air Station Yeovilton, or RNAS Yeovilton, (IATA: YEO, ICAO: EGDY) (HMS Heron) is an airfield of the Royal Navy and British Army, sited a few miles north of Yeovil, Somerset. It is one of two active Fleet Air Arm bases (the other being RNAS Culdrose) and is currently home to the Royal Navy Wildcat HMA2 and Army Air Corps Wildcat AH1 helicopters as well as the Royal Navy's Commando Helicopter Force Merlin HCi3/3A/4 and Wildcat AH1 helicopters. The site consists of 1,000 acres (1.6 sq mi; 4.0 km2) of airfield sites plus ranges and minor estates. Royal Naval Air Station (RNAS) Yeovilton is a large multi-role air station with an annual budget of some £61 million. The airfield is also home to the Fleet Air Arm Museum and the station hosts an annual Air Day in July. A Fleet Air Arm Supermarine Seafire being refuelled by a petrol bowser at Yeovilton in September 1943. 750 Naval Air Squadron was formed at RNAS Ford on 24 May 1939 from the Royal Navy Observer School, but after Ford was bombed early in the war, it moved to RNAS Yeovilton. They were joined by 751 and 752 Squadrons with the Naval Air Fighter School soon following. In addition Westland Aircraft developed a repair facility at the site. From July 1940, the site was subjected to Luftwaffe bombing on several occasions. 794 Naval Air Squadron was the first to be formed at the base and served to train other squadrons to practise aerial gunnery, and part of one of the runways was marked up as a flight deck to practise landing on an aircraft carrier. 827 Naval Air Squadron was also stationed at Yeovilton operating Fairey Albacores and later Barracudas starting in May 1943, becoming the first squadron to receive Barracudas in any substantial number. Several units which were preparing for embarkation were also stationed at the site during the Second World War. Because of pressure on space at the airfield, satellite sites were set up at Charlton Horethorne and Henstridge in 1942. A centre for Air Direction Radar was also established at Speckington Manor on the edge of the airfield. After the end of the war, Yeovilton became one of the main demobilization centres for the Royal Navy, with many of the men helping to refurbish the runways while they stayed at the base. In 1952, Yeovilton became the shore base for the fleets all-weather fighters. The runways were further extended by Taylor Woodrow in 1952 and 1957 to cope with jet aircraft. In May 1953, it became the headquarters of Flag Officer Flying Training. BAe Sea Harrier FRS1 of 899 Naval Air Squadron at Yeovilton Naval Air Station in 1982. During the 1960s, further development work was undertaken, with the School of Fighter Direction returning to the site and the Sea Venoms being replaced by the de Havilland Sea Vixens then in turn by the McDonnell-Douglas Phantom FG1 as a carrier-borne fighter. The 1970s saw the Flag Officer, Naval Air Command (FONAC), transferring from RNAS Lee-on-Solent. Royal Navy fixed wing operations were phased out, and the Phantoms transferred to the RAF. The base remained as the home of the Commando Helicopter Squadrons, using the Wessex HU5 and later the Sea King HC4, and the fixed wing Fleet Requirements and Aircraft Direction Unit (FRADU) and became the main shore base for the Navy's fleet of Sea Harrier FRS1 (and later, FA2). A ski-jump (now removed) was installed to enable practice of ski-jump assisted take-offs. In the mid 1980s Defence Estates announced that many of the Royal Navy ratings married quarters at RNAS Yeovilton were surplus to requirements. As a result, The Welbeck Estate Group acquired in the nearby town of Ilchester two entire estates of apartments in Hermes Place and Lyster Close that were used by personnel at HMS Heron. These were refurbished and sold to local buyers. Since 1993 the Fleet Air Arm’s Memorial Church has been the Church of St Bartholomew in Yeovilton. 800 Naval Air Squadron, 801 Naval Air Squadron and 899 Naval Air Squadron (training) which operated the BAE Sea Harrier FA2 and T8 were disbanded in 2006. The replacement Lockheed Martin F-35 Lightning II will be operated from RAF Marham and is due to enter service in 2018, when it will equip the Queen Elizabeth-class aircraft carriers. In July 2006, Sea King HC4 helicopters from RNAS Yeovilton were deployed to Cyprus on Operation Highbrow to assist with the evacuation of British citizens from Lebanon. Following the closure of RNAS Portland (HMS Osprey) in 1999, HMS Heron became the main shore base for the Lynx fleet. A Sea King HC4 (foreground) accompanied by a Merlin HC3 of the Commando Helicopter Force at RNAS Yeovilton. The Strategic Defence and Security Review 2010 recommended that in order to replace the Navy's ageing Westland Sea King HC4's which formed the Commando Helicopter Force at Yeovilton, the RAF's AgustaWestland AW101 Merlin fleet should be transferred to the Royal Navy's. To gain experience of operating and maintaining the Merlin, Royal Navy aircrew and engineers were integrated into the Merlin Force at RAF Benson during 2012. The Merlin fleet was officially handed over to the navy during a ceremony at Benson on 30 September 2014. The ceremony marked the disbandment of the RAF's No. 78 Squadron and its replacement at Benson with 846 Naval Air Squadron. During July 2015, 845 Naval Air Squadron reformed at Benson and replaced No. 28 Squadron of the RAF which also disbanded. The Merlin arrived at Yeovilton when 846 NAS moved from Benson on 26 March 2015. In May of that year, 848 Naval Air Squadron temporarily stood up with the remaining Sea King HC4 to cover the last remaining Sea King operations, before the Sea King HC4 was finally retired and the squadron decommissioned on 24 March 2016. The last phase of the transition occurred when 845 NAS departed Benson for Yeovilton on 16 June 2016, bringing nearly 15 years of RAF Merlin operations to a close. A Lynx HMA8RSU (top) operated by 815sqn and a Wildcat HMA2. The AgustaWestland AW159 Wildcat HMA2 began replacing the Westland Lynx HMA8 when the first production aircraft arrived at Yeovilton in January 2013. Prior to that, in May 2009, 700W NAS was formed at Yeovilton as the Wildcat Fielding Squadron. The squadron disbanded in July 2014 when it was merged with 702 NAS to form 825 NAS, the first operational Wildcat unit. The final Wildcat HMA2 for the Royal Navy was delivered to 825 NAS in October 2016, bringing the total number of Royal Navy Wildcats to 28. The Lynx was retired in March 2017. In October 2015, the consolidation of the Army Air Corps (AAC) for Army 2020 resulted in a large regular aviation regiment of Wildcat AH1 being based at RNAS Yeovilton. As such, all 62 UK military Wildcats on order will operate from Yeovilton. 1 Regiment has returned from Gütersloh in Germany, and merged with 9 Regiment from Dishforth. The current 652 (Wildcat Fielding) Squadron will become 1 Regiment's Wildcat Operational Conversion Unit. 1 Regiment will form part of the Army Air Corps' Aviation Reconnaissance Force along with 5 Regiment. In order to allow the Army Air Corps to locate their Wildcat helicopters and 750 personnel at Yeovilton, extensive redevelopment of the station began in 2014. Known as Project WINFRA, the work involves eight separate contracts worth a total of £150 million and is being undertaken by Mott McDonald and Carillion. Building 710, a new three storey squadron building for 846 Naval Air Squadron was completed in March 2015. The refurbishment of technical facilities and the construction of new quarter master’s stores, vehicle garages and facilities, ancillary buildings, a cycle path and car parks was completed and handed to the AAC in November 2015. Building 661 is the new 1 Regiment headquarters and provides accommodation for 659 Squadron and 661 Squadron. In 2016, a new dental centre, a refurbished office building for 825 Naval Air Squadron and a new build squadron building for 815 Naval Air Squadron were completed. By January 2017, a 500 capacity Senior Rates Mess, Physical and Recreational Training Centre including a gym, Multi Use Games Area and 4G sports pitches and the refurbishment of the medical centre had been completed. Three blocks of Single Living Accommodation which can accommodate 400 personnel were finished in March 2017. In total, the project has provided 508 new single living accommodation bed spaces and 130 service families accommodation bed spaces. Yeovilton is home to the Royal Navy Maritime Wildcat Force (MWF), Royal Navy Commando Helicopter Force (CHF), the Army's Aviation Reconnaissance Force (ARF) and elements of the Royal Navy Fixed Wing Force. The station operates over 100 aircraft and is manned by around 1675 service and 2000 civilian personnel, including Ministry of Defence (MOD) employees and permanent contractors. Training of aircrew and engineers of resident aircraft types is also carried out at RNAS Yeovilton. It is also the location for the RN Fighter Controller School, training surface based aircraft controllers. The Commando Helicopter Force has now returned to prioritising its main amphibious role in support of Royal Navy/Royal Marines operations after focusing on more than a decade of service in land-locked Afghanistan and prior to that in Iraq. During periods of busy flying training, pressure on the RNAS Yeovilton circuit is relieved by the use of nearby RNAS Merryfield. 727 Naval Air Squadron operate the Grob Tutor T1 in the grading and flying training role for the Royal Navy, Royal Marines and others. The station holds an annual air show when the airfield is open to the public. It includes both a flying and static aircraft display. Flying and notable non-flying units based at RNAS Yeovilton. The Merlin HC3/3A will be upgraded to HC4 and HC4A standard to ensure the aircraft are fully capable of deploying in an maritime/amphibious role. The differences between the current HC3 and (former Denmark-bound) HC3A will be almost eliminated in the HC4/4A upgrade (known as the Merlin Life Sustainment Programme (MLSP)). Prior to the upgrade, seven of the airframes have been upgraded to the 'interim HC3' and are serving with 846 NAS. These aircraft will receive the full upgrade after the remaining aircraft have been upgraded to the HC4 and HC4A. The upgraded and ship-optimised Merlin HC4 and HC4A aircraft will be painted in Royal Navy grey, unlike the green 'Junglie' Sea Kings they replace. ^ a b c Berryman, David (2006). 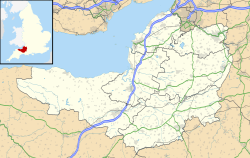 Somerset airfields in the Second World War. Newbury: Countryside Books. pp. 194–219. ISBN 1-85306-864-0. ^ "50 Years Not Out for 750 Squadron". Navy News. Retrieved 6 February 2010. ^ a b c "RNAS Yeovilton". Helis.com. Retrieved 20 February 2008. ^ "Yeovilton / HMS Heron". Airfield Information Exchange. Retrieved 28 December 2014. ^ "Projects undertaken since 1969..." Wellbeck Estate Group. Retrieved 28 December 2014. ^ "St Bartholomew's Church, Yeovilton" (PDF). Cloudobservers. Retrieved 19 February 2013. ^ "Helicopters go to aid evacuation". BBC News. 18 July 2006. Retrieved 20 February 2008. ^ a b "The Past, Present and Future of the 'Junglie'". Forces Network. Service Sound and Vision Corporation. 5 February 2015. Retrieved 6 November 2017. ^ "It really is goodbye to the 'old girl'". Royal Navy. 24 March 2016. Retrieved 6 November 2017. ^ "Navy's first Wildcat makes its debut in Somerset skies". Navy News. 28 January 2013. Retrieved 18 November 2017. ^ "700 (W) Naval Air Squadron bows out on a high". Royal Navy. 31 July 2014. Retrieved 18 November 2017. ^ "Royal Navy take delivery of their final Wildcat helicopter". Royal Navy. 27 October 2016. Retrieved 18 November 2017. ^ "Royal Navy Lynx HMA8 fleet bows out of service". Flight Global. 17 March 2017. Retrieved 18 November 2017. ^ "DESider, October 2014, Issue 77" (PDF). www.gov.uk. Defence Equipment & Support. Retrieved 30 May 2015. ^ "Army 2020 Brochure" (PDF). British Army. Retrieved 15 May 2015. ^ Fife, Alastair (24 July 2017). "All Set For Takeoff at RNAS Yeovilton". Inside DIO Blog. Retrieved 18 November 2017. ^ Jeffries, Steve (16 November 2015). "Work on Wildcats' new home continues apace". Inside DIO Blog. Retrieved 18 November 2017. ^ Thornton, Matt (27 June 2016). "Wildcat infrastructure work progresses at RNAS Yeovilton". Inside DIO Blog. Retrieved 18 November 2017. ^ Simmons, Emily (3 January 2017). "DIO delivering for the Wildcat programme". Inside DIO Blog. Retrieved 18 November 2017. ^ "RNAS Yeovilton". Royal Navy. Retrieved 6 November 2017. ^ "1 Regiment Army Air Corps". The British Army. Retrieved 6 November 2017. ^ "7 Aviation Support Battalion". The British Army. Retrieved 18 November 2017. ^ Mackie, Colin. "Royal Navy Appointments from 1865" (PDF). gulabin.com. Colin Mackie, pp. 124-125, December 2017. ^ "RNAS Yeovilton's Commanding Officer meets with council chairman". Yeovil Express. 29 October 2009. ^ "RNAS Yeovilton in Somerset gets new commanding officer". BBC. 8 June 2011. Wikimedia Commons has media related to RNAS Yeovilton. Airport information for EGDY at World Aero Data. Data current as of October 2006.Source: DAFIF. Airport information for EGDY / YEO at Great Circle Mapper. Source: DAFIF (effective October 2006).